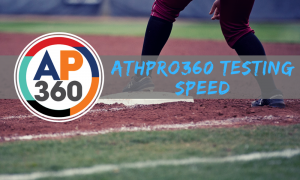 You’ve heard a lot about the AthPro360 partnership we have newly announced! Now it’s time to meet the man behind AthPro360 and learn a bit more about the platform, how it came to be, and what makes it so special. 1) Can you tell us a little more about yourself and your background? 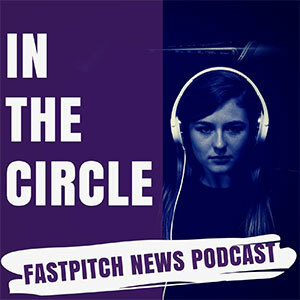 I am an entrepreneur with a vast experience as an athlete and a travel coach. I oversee all AthPro360 operations, ideas, marketing, and business development. Alongside AthPro360, I am the owner of PrintWithUs.com, a premiere commercial printing company in the west coast for the last 27 years. I was also a travel coach for 21 years and owner of D1 Edge Training Center. I own an upscale gym (CoreFIT 24-7) in Cornelius, North Carolina, and have ownership interest in The Shade Hotel and Rock ‘N Fish restaurant in Manhattan Beach, CA. I was a D1 collegiate athlete for four years and graduated with a degree in Marketing from California State University-Long Beach. Since then, I have directly recruited hundreds of athletes into college. 2) How did AthPro360 begin? 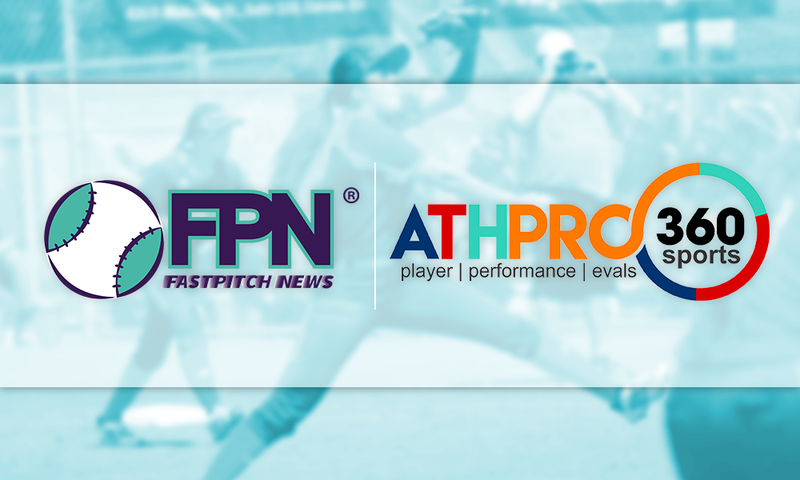 AthPro360 began in 2008 when I started FastPitch Recruits, LLC to help players who were not at the top end of the recruiting cycle gain more visibility to college coaches and recruiters. I started a club team called the So Cal Panthers in 1999. At that time, I also started testing the athletes on the team to give them some benchmarks to work toward while they were training. In 2005, I had 16 players all the same age and they all wanted to play in college, but I had no idea how to help them with their recruiting. I played at the D1 level; however, I never went through the recruiting process because back then, they found me. So, after a lot of trial and error, I decided to create a better way for players, parents, and team coaches to help themselves with the recruiting process. 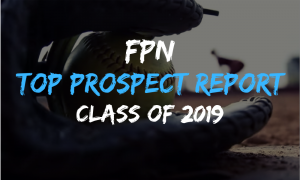 The logic was simple, if you are a prospect that matches or exceeds the criteria of the college coach’s recruit profile and we make it easy for them to find you, they will come and see you no matter where you are. This system allowed a college coach to create a recruit profile, find players that match their criteria, and locate the player wherever they were competing with a real time search and location platform. The program was a great success. From 2008 to 2015, I helped 158 players graduate and play in college which was a 100% placement rate. No one was ever left behind. However, I noticed that other players and teams using the system were not having the same success. Around 2012, I realized that the college coaches were always receptive to my players and myself because we presented the best match. The information provided was always complete and my previous relationships with the coaches ensured that the data was credible. The moment of realization came when Gordan Eakin of BYU told me that he did not pay much attention to the other teams and players in my system because their data was not complete and was not from a proven source. That was the “ah-ha moment” when I decided that athletic testing can be used to create the credibility for players and team coaches who did not have the benefit of strong relationships with college coaches. From this revelation, we developed a system that would utilize an objective and standardized testing process that results in a single indicator (Athletic Performance Index – API) of a player’s ability. 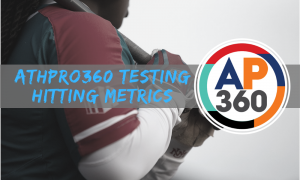 To ensure that the quality and credibility of the data was maintained to the highest standard, AthPro360 was born as a third-party, unbiased administrator of athletic testing. Now, players would be ranked based upon their scores with absolute accuracy and college coaches could freely access the data knowing the data was credible and unbiased. 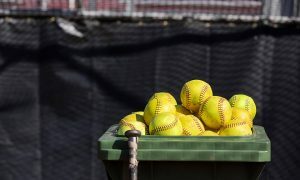 The athletic testing process was then applied to skill evaluations where three independent evaluators would provide players and college coaches with a standardized 2-8 skill rating in fielding, throwing, and hitting (we also provide pitching and catching evaluations at position specific camps). The skill area ratings are then compiled into a secondary performance indicator, the Skill Performance Index (SPI). 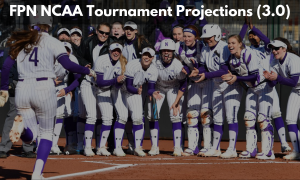 By combining the API and SPI, we generate the complete Player Performance Index (PPI) with which we use as a nearly 100% accurate predictive placement index that college coaches can absolutely count on. 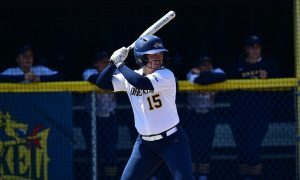 With more than 25,000 test sets from softball players so far, AthPro360 is the largest database of athletic scores in the world. In addition, thousands of athletes have used our system and gone on to college to play at the next level. As the number of players tested continues to grow, AthPro360 is the only company that can prove its credibility and success through the results on our national leaderboard and as well our commit page. 3) One thing that really stuck out to me was the clear passion for helping your participants understand the data in front of them. Can you talk a little more about that? 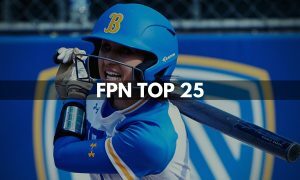 Using the lessons learned from Coach Epstein, we understand that our metrics are powerful development and recruiting tools, but only if the players understand what they mean and how they can be used. Anyone can administer the tests we provide, but that is only a fraction of the process. Athletes do not come to only get tested, they come to gain the knowledge of how to improve themselves. 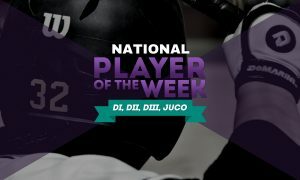 Our expertise and advantage stems from our platform’s ability to disseminate this knowledge to players, parents, team coaches, trainers, and recruiters. This allows players and teams to more effectively make decisions regarding player development and potential recruiting opportunities. Our certified testers are trained in a six-week training program to become masters of the lessons taught to us by Coach Epstein ensuring that the players attending testing events understand the how the metrics, equipment, test protocols, and drills we use can be applied to their own development as athletes. 4) What is on the horizon for AthPro360 and is there anything you are especially excited about? 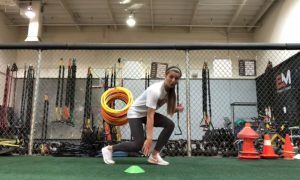 Seeing the constant growth in athleticism among the softball players we’ve tested this past year has me the most excited for the future of testing and the sport. From the players that have tested, we are seeing that the girls are REALLY getting better and more athletic. As the players continue to grow as athletes, our ranking algorithm will grow with them. We have created what we call a “living” ranking system; meaning that the rankings will evolve as the level of performance changes from year to year. This type of ranking system is much different from other evaluation methods that use static formulas to calculate their rankings. Athletes from the past are much different from the athletes of today. Ty Cobb is one of the best all-around baseball players that ever lived and was the best baseball player during the time he played. Comparing Ty Cobb to Mike Trout (Los Angeles Angels), who will likely be regarded as one of the best all-around baseball players as well, we would consider Trout to be a better athlete due to the way general athletic performance has increased over the last century. A dynamic, “living” ranking system will be able to achieve more accurate results than a static formula because it will account for the future evolution of the athlete. Looking to the horizon for AP360, we will continue expanding our athletic performance testing to all sports with our pure athletic tests. These tests will allow us to create a ranking system for all athletes regardless of sport, age, and gender. Athletes will now be able to compare themselves to others in their respective sport, as well as any other athlete in the world. We have already begun testing baseball, football, and basketball players with more sports coming soon. 5) What is your favorite thing about AthPro360 events, testing, what you do? The positive impact we have on many young athlete’s careers is the most rewarding part of AthPro360. We’ve built a national team that takes pride in the quality and professionalism of what we are doing. As I said previously, players do not come to us to get tested, they come to us for data and knowledge. As a company, we take a huge amount of pride to ensure that each individual set of scores is absolute in its accuracy and is provided to each player, parent, and coach in a timely manner. In addition to the scores we emphasize the education of players. When a player walks away from one of our testing events, we must ensure that they are walking away with the knowledge of how to get better and grow as an athlete. That said, I always invite folks to come watch our testing events; parents, siblings, coaches, etc. Our testing teams are amazing in how they can administer these high-end tests, using cutting edge technology, under very tight protocols. 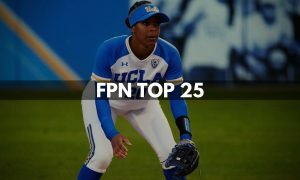 They are all capable of working in any kind of environment while still grabbing the attention and competitive spirit of the girls who are having fun cheering on their teammates and peers as they go through the tests.